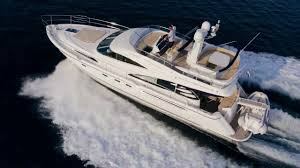 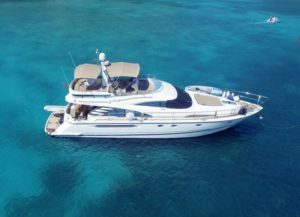 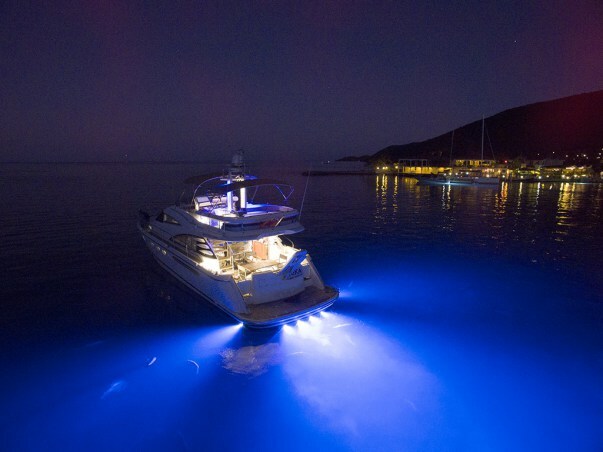 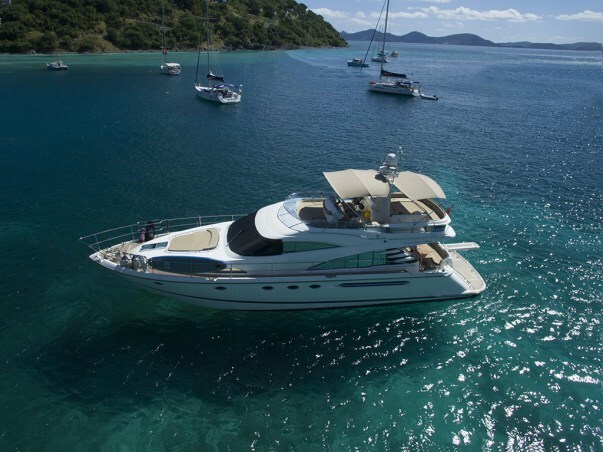 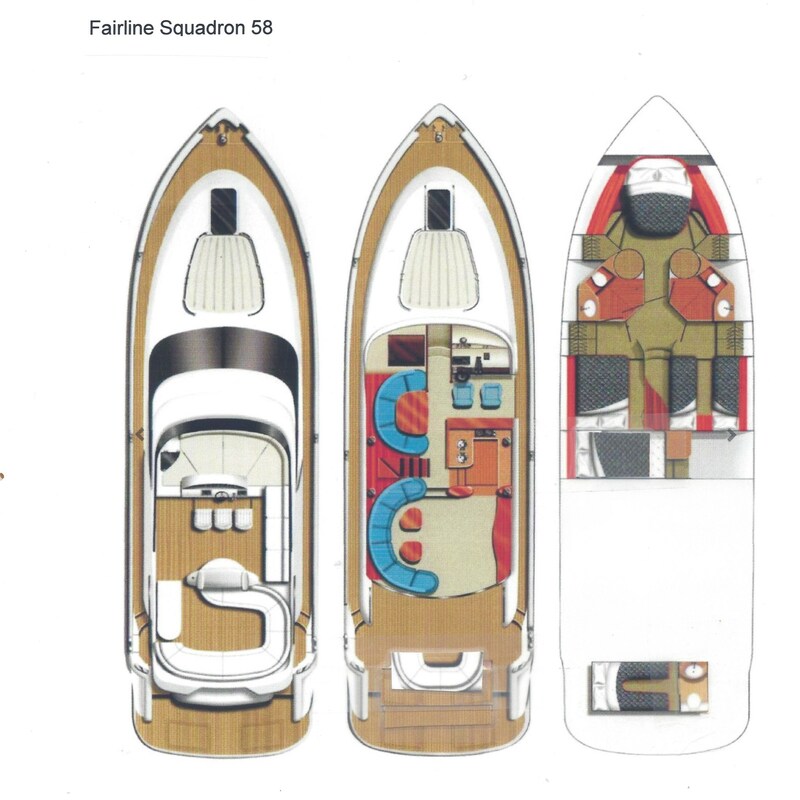 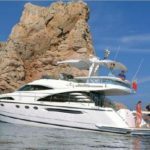 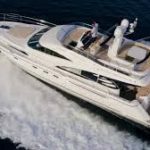 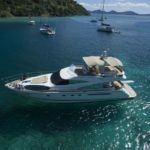 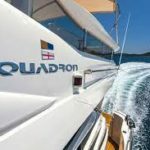 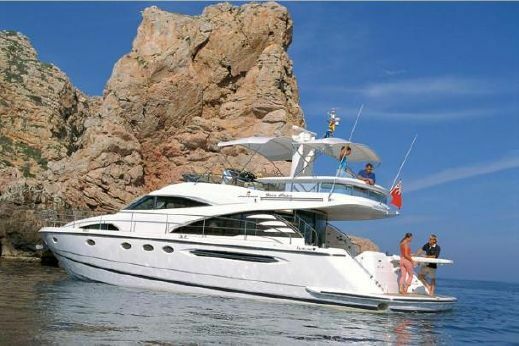 The Fairline Squadron 58 offers a great layout and design for luxury, performance and practicality. 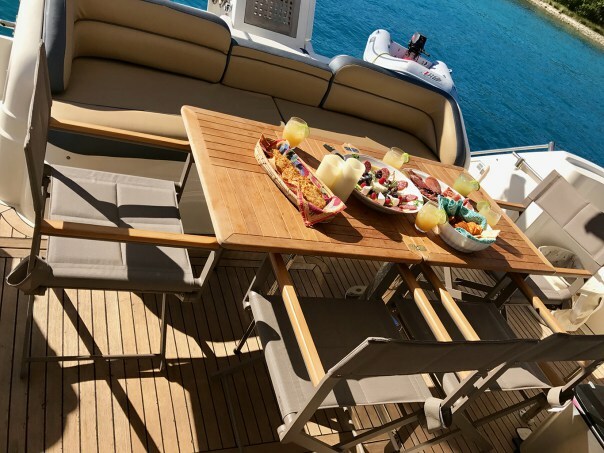 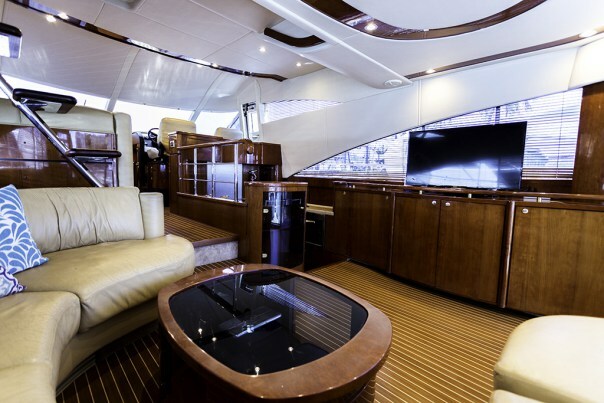 Large oval flybridge with asymmetrical design makes it ideal for entertaining on the flybridge. 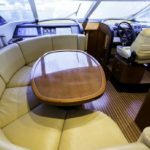 As you look around the front of the three seat helm, centrally positioned, you will notice the large, upholstered semicircular sunbed. 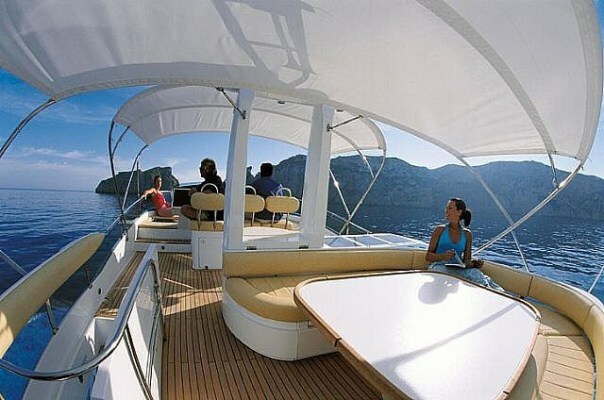 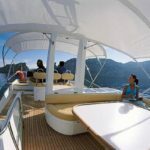 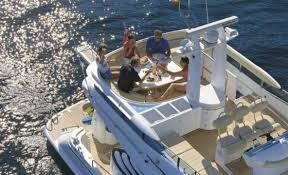 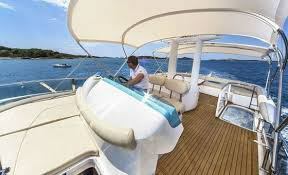 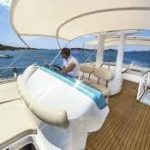 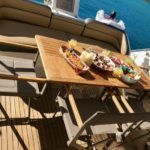 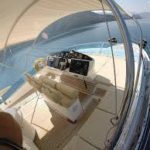 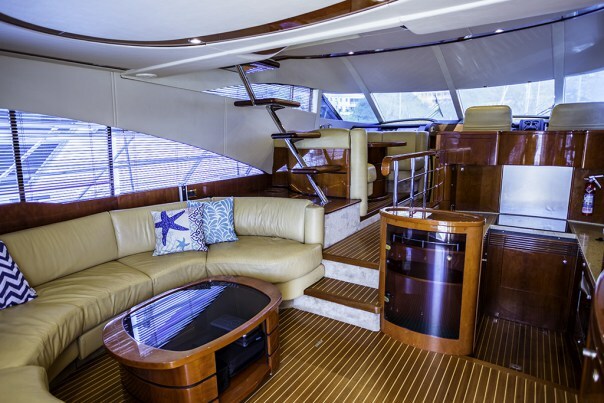 Behind the helm is a large settee with an adjustable table that will convert into a sunbathing area. 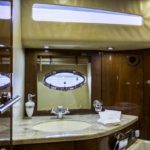 There is a bar with a sink, ice maker, refrigerator, and electric grill with twin bimini tops overhead. 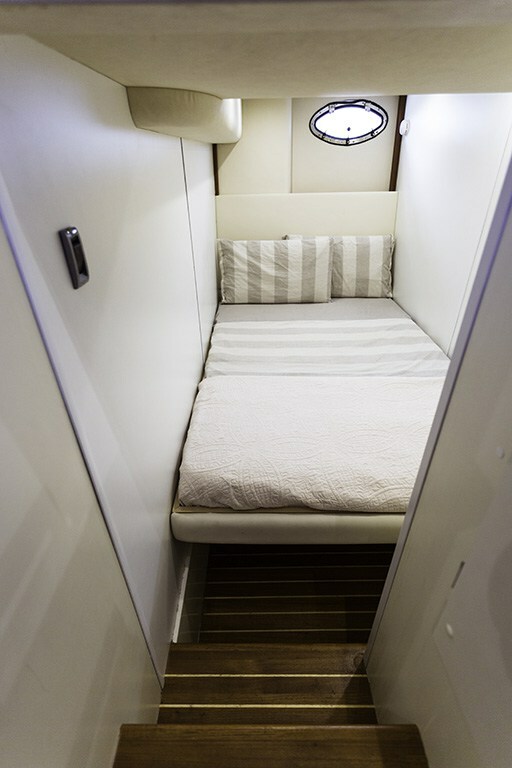 The double deck layout offers full standing headroom throughout. 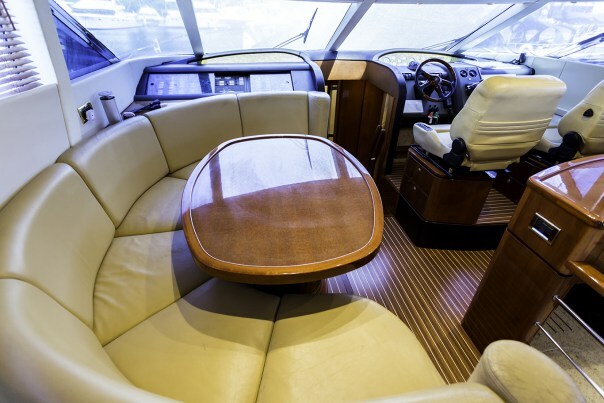 The lower helm has a wood veneered instrument panel. 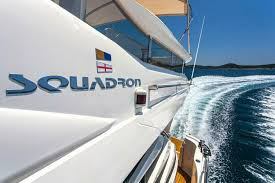 The electrically adjustable Recaro pilot and co-pilot seats are located starboard, forward of the fully equipped galley. 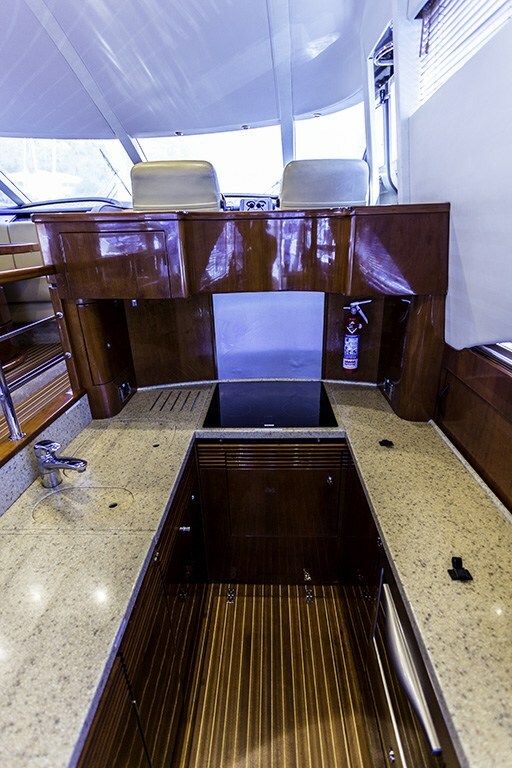 Just starboard of the helm is a side exit door. 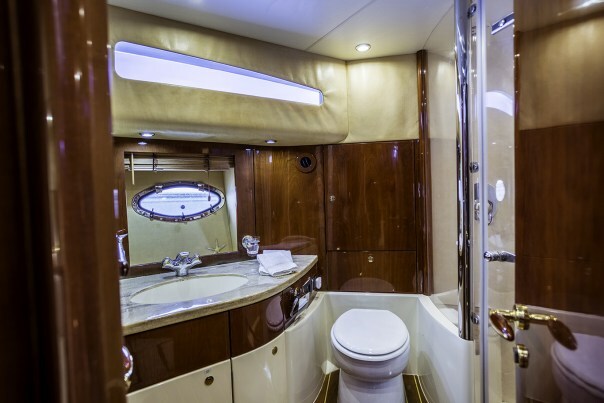 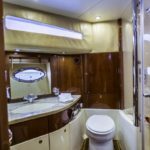 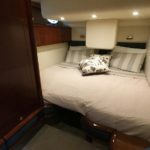 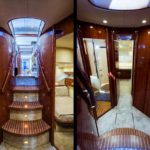 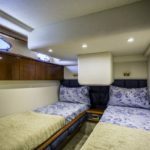 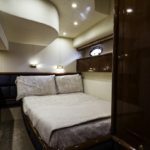 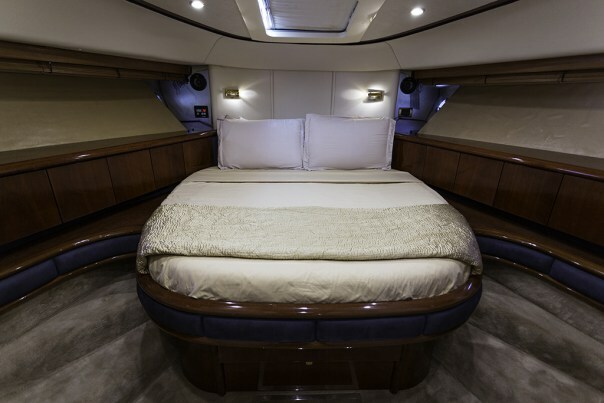 The four staterooms include the master with a king bed, a VIP with a double which can be converted to a king, a guest stateroom with a double and a full size bed in the cabin off the galley. 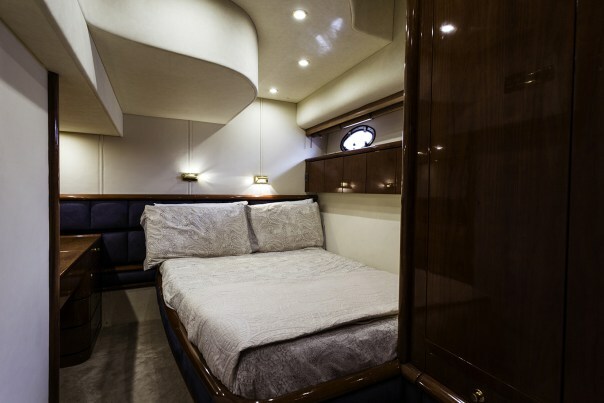 The Master Stateroom occupies the entire forward section and features a king-size bed. 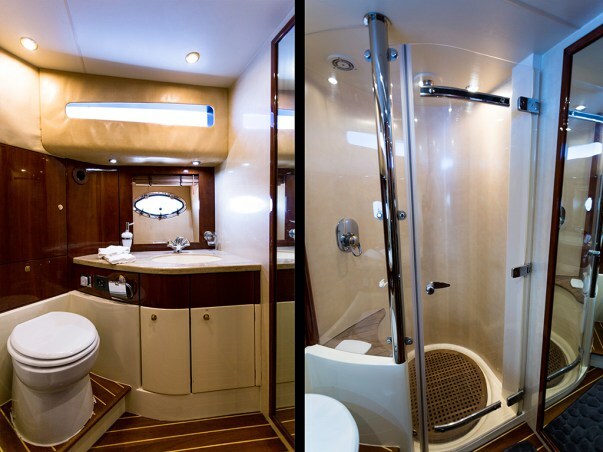 There are two very large heads with separate showers, one has en-suite access to the master. 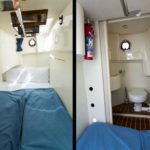 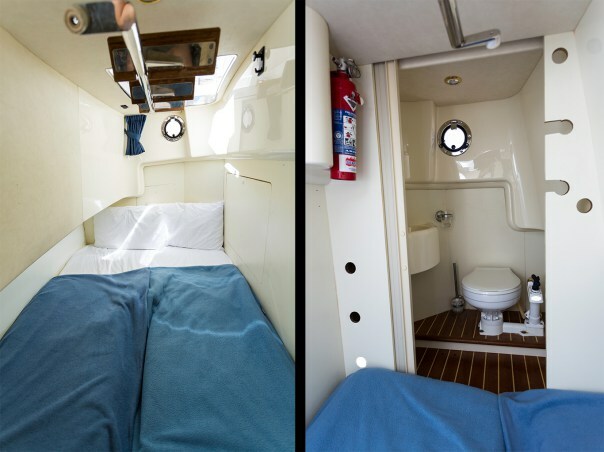 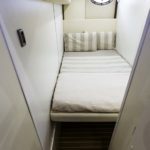 There is also a crew cabin aft that can accommodate two extra guests and has its own head as well. 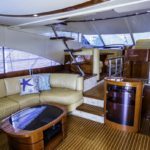 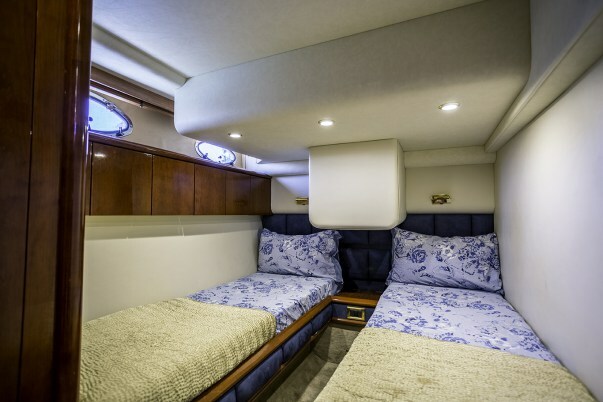 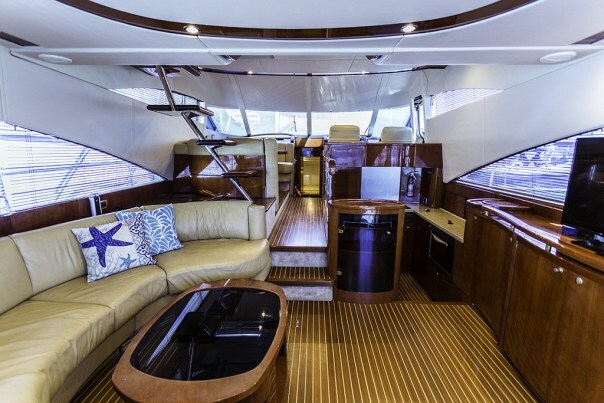 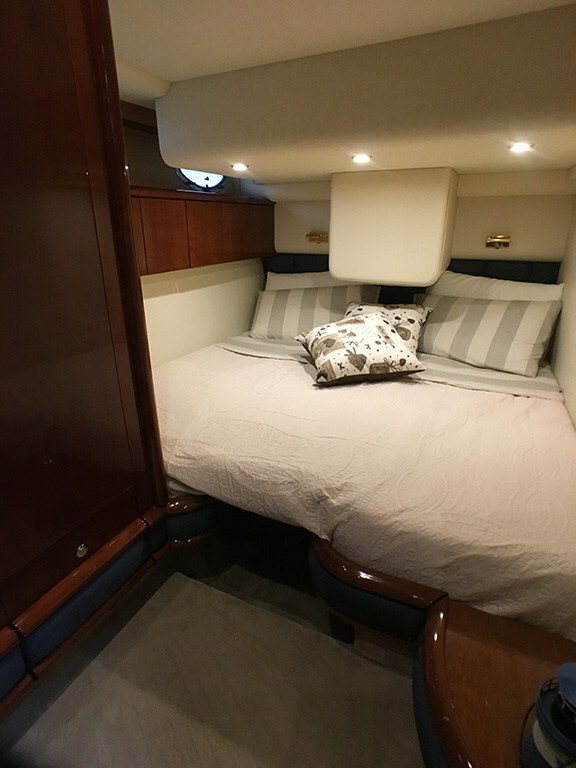 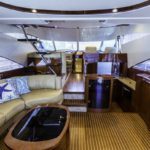 The aft cockpit boasts a large alfresco settee that is shaded by the flybridge overhang. 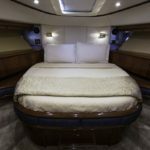 Complete with cockpit controls for ease of driving. 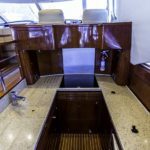 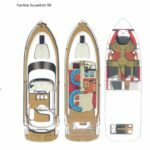 The transom leads to an expansive swim platform via side gates port and starboard. 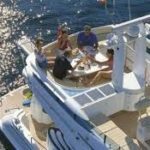 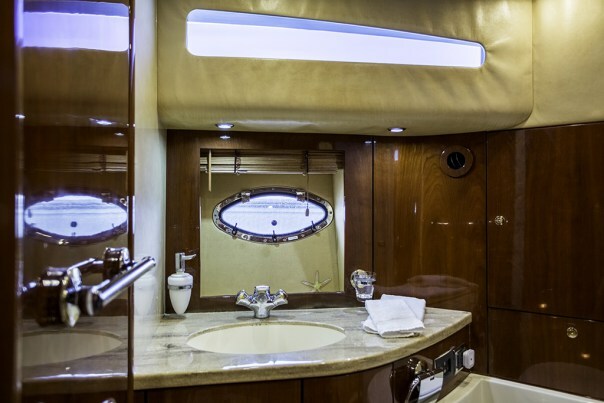 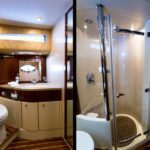 The vessel sleeps eight in four interior staterooms, with two guest heads and showers, as well as crew quarters with head aft, which can accommodate an additional two guests. 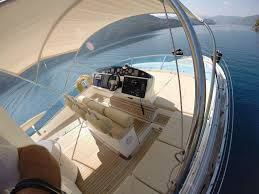 Economy cruise speed of 20 knots. 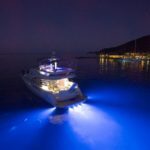 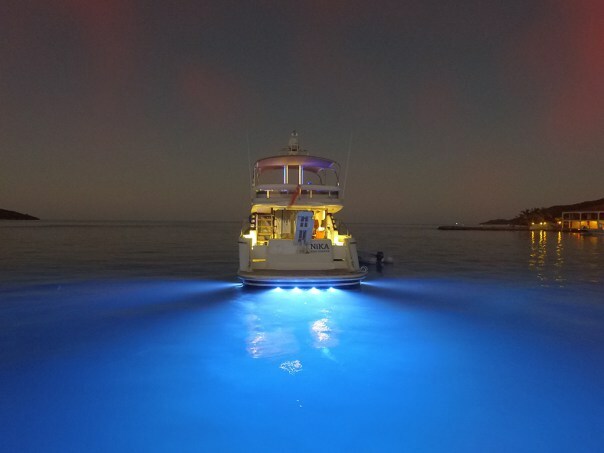 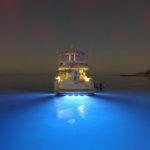 Please note: deep see fishing is not permitted on any of our charter yachts, only recreational fishing which must be accompanied by a license. 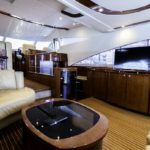 TV with 500 blue ray movies and HDMI connection.